customer/client-focused services that improve quality of life. through investments in community-based initiatives. To improve lives & build community by engaging individuals & mobilizing collective action. Through shared leadership, United Way Oxford will build a stronger community and continue to improve the quality of life for everyone in Oxford County. Everyone working together to build healthy communities throughout Oxford County by providing health care, support and education that works for you. The Children’s Aid Society of Oxford County was established in 1895 as a not-for-profit charitable organization focusing on the well-being and protection of children. Local Oxford County resident who has provided a variety of Oxford County photos for our website and facebook page.  The goal of the Social Planning Council Oxford is to bring people together to actively participate in social development to improve the quality of life of Oxford County residents.